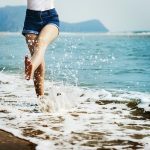 Over the decades, I’ve helped thousands of patients recover from injury, lose weight, and feel better naturally. Chiropractic and nutritional care can reveal your body’s natural potential to achieve a more optimum state of health. 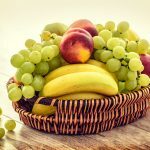 Nutrition Response Testing is a study of how the different points on the surface of the body relate to the state of health and to the flow of energy in each and every organ and function of the body. Diet and supplementation is the key! 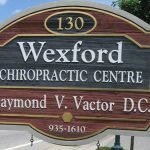 Hear what patients think of Wexford Chiropractic Centre and Dr. Ray Vactor! Learn how the body’s structure—particularly the spine—can affect health and wellness. 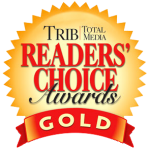 We are honored to have been named the “Best Chiropractic in the Northern Suburbs” by Trib Total Media of Pittsburgh multiple years running! From cozy blankets, to cold drinks, complimentary snacks, and relaxing hot packs -- we pay special attention to our patients' comfort before, during and after every visit. With extended hours, short wait times, a convenient location, and financing options, we make chiropractic care enjoyable while also accepting most insurance plans. Wexford Chiropractic Centre proudly offers the latest in chiropractic techniques and technologies with the trusted record of nearly three decades in business. Chiropractors have a Doctor of Chiropractic degree. Medical and chiropractic education are similar in some respects and different in others because chiropractors do not prescribe drugs, but medical doctors do not correct the vertebral subluxation complex. 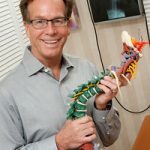 Dr. Vactor specializes in gentle, low force techniques by using the activator method which is a hand held tool that is very gentle yet delivers a very effective, precise adjustments to the vertebrae. Afterwards, some patients may experience temporary soreness or stiffness. This is okay and normal. Always communicate any discomfort you may have to Dr. Vactor. Should I see a chiropractor even if I don't feel sick? 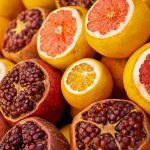 Symptoms are not the only way to judge health. Only 10% of your entire nervous system carries or perceives pain. Up to 90% can be heavily stressed without any pain. By the time pain presents itself, serious damage to your spine and nervous system can have already occurred. The quickest way is to call our office at: 724 935-1610 . Our office is located at 130 Wexford Bayne Road Wexford, PA 15090. Can I come for just one visit? 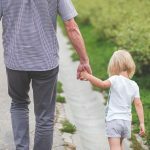 You can since once is better than never, however the choice is yours about whether to use chiropractic for pain relief, its corrective benefits or it’s wellness effects. Dr. Vactor will explain the different levels of care before you make your decision. Wexford Chiropractic Centre accepts most major forms of insurance! If your plan includes Chiropractic care, Wexford Chiropractic Centre is the place to come. In most cases, we can handle your insurance claim for you!